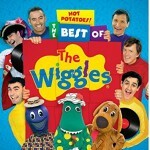 If you’ve got young kids maybe you’ve heard of the Wiggles? They’re a world famous group of children’s entertainers from Australia who have achieved success and popularity on a global scale with their colourful cast of characters, catchy tunes, fun DVD’s and high energy concerts. My kids certainly loved them, and I vividly recall my first hand experience of the full on energy of their concerts when I was asked to provide chiropractic care to the cast and crew when they were touring Newcastle in years gone by. It was all great fun, but boy those guys and girls worked hard! 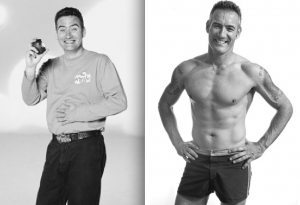 Inevitably, the touring and workload really challenged their health, and in 2012 Anthony Field (the Blue Wiggle) published his book How I Got My Wiggle Back to describe the kinds of health challenges he faced, and to share his ‘road to recovery’ story. Chiropractors were a significant part of the team that helped Anthony get his life back together. The book talks about the struggles and triumphs of his personal and professional life, initially as a 1980’s rock star on exhaustingly long tours with the band The Cockroaches, and then again in an ongoing fashion with the hugely popular Wiggles. The tough life travelling for tours led to bad eating habits and exacerbated pre-existing ailments for Field such as dental issues, hernias, back ailments, broken bones, food sensitivities, colitis, irritable bowel syndrome, circulation issues, exhaustion and depression. Field loved his job but felt miserable most of the time due to his ill health. Eventually a friend of Field’s who was a chiropractor talked him into having an adjustment and after that everything changed. After receiving surprising immediate results, Field decided that while touring they would enlist the help of local chiropractors wherever they went. “Eventually, I developed a little routine – the first thing I’d do after arriving in a small town or city was to track down a chiropractor,” Field said. “I didn’t plan to be an advocate, but the fact that I’m still alive and kicking is testimony to the fact that there are solutions. There is a better way,” Field said. 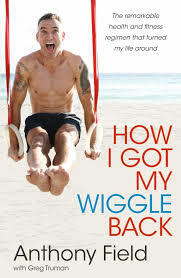 The book How I Got My Wiggle Back is emphatic and energetically written, and is a glowing endorsement of the benefits of chiropractic and trying to live a healthy lifestyle. The book’s message is aimed towards middle aged men to encourage them to reignite their health, but is an enjoyable read for anyone who wants to hear a hopeful tale of recovery or who is a fan of The Wiggles.